Is Your Dental Team Driving You Crazy? Dr. John Meis: I recently met with an exhausted doctor. He said his team was driving him crazy. He said they kept bringing all their problems to him. And he called him monkeys, he said, "They're always bringing their monkeys, and they're always putting their monkeys on my back. And it's just getting too heavy, I'm exhausted." Sound familiar? Well, you'll want to watch this episode. Dr. John Meis: So here's how this goes. You have team members that bring you problems. Because you're a good problem solver, you solve them. And then they bring more problems. And then they become problem detectives. They keep looking around, they keep finding problems, and bringing them to you more, and more, and more. And they drop these problems off with an attitude, something like, "Not my circus, not my monkeys," right? "You solve this for me." And they keep doing it more, and more, and more. And what happens then over time, increases your level of discouragement, right? If I have to do everything, why do I even have these people around? Have you ever felt that way? Dr. John Meis: So it increases your level of discouragement, it decreases your level of confidence, because time, now you're mired, dealing with all this muck and all these problems. And time spent on those problems is dragging on productivity, because if you're doing that, you're not taking care of patients, which is where a dentist can provide the greatest value to his community. Your confidence level starts to go down, and now you're frustration level starts to go up. As you see more and more people bringing monkeys on your back, and monkeys on your back, you're getting more and more frustrated, and eventually, if you're like me, eventually you'll blow. Right? Dr. John Meis: So if this sounds familiar, I know exactly the solution for it. And it's pretty simple, but it requires patience, and it requires discipline. So when this was happening to me, what I did was I had a simple rule. That no one gets to bring a problem to me that they're not willing to be part of the solution for. Right, so don't bring it to me if you're just going to dump it off. Dr. John Meis: The next thing I did was no problem without a solution. So they had to think through what the solution is, and so here's the discipline, the discipline is that we so ... almost automatically start to solve the problems that people bring us. And to stop that habit and create that to not be automatic, to create it being thoughtful, so that when patients, when your team comes to you, I should say, with a problem you say simply, "What's your plan?" And you just keep saying that. "What's your plan? What's your plan? What's your plan?" Right? Dr. John Meis: And eventually, you'll find a couple of things happen. They'll become less highly active detectives, they won't be searching for every last little problem to bring to you. They'll also become more involved, and more engaged, because people like to solve problems when they know that their plan is going to matter. So now, when they bring you a plan, it's a whole different ballgame, right? Now they have a plan, and now all your job is, is no longer to be the solver of everybody's monkeys, your job is now to be a coach, right? Dr. John Meis: So a coach is you can help them refine their plan. If you see a problem with their plan, you can help them change the plan so that you've got ... so that their plan is more solid, right? You can also help them sharpen their communication skills, because most problems that people will bring to you are interpersonal. Most of the problems is it requires somebody to do something different. Dr. John Meis: Now when you get this down, you will see a transformation happen in your practice. You will see a practice like this is not for everybody. So when I first, in my office, when I first saw that this was really taking ahold, we had a team member, I'll call her Janice, Janice was always coming in late. And so part of this accountability, it was a problem, right, this was a problem because now we can't see patients on time and now we're starting the day late, and when you start the day late, and you're a very busy dentist, it's hard to get back on track, or impossible. So I knew we were on track when I heard a couple of our team members go up to Janice when she had some in late, and say, "Why is this okay that you're coming in late?" Dr. John Meis: So that was accountability. And practice accountability really comes from the team. If you watch the great sports heroes, if you watched Michael Jordan back with the Bulls, was it Phil Jackson the coach that was creating accountability, or was it Michael Jackson and the other teammates creating accountability with each other? Accountability comes from our peers, not as strongly from our superiors. Dr. John Meis: So when I heard this going on, I about flipped for joy, I was so excited, because now there was accountability happening with the team. Now the team was taking ownership in the success of the practice. And when that happens, everything goes good. Dr. John Meis: So the organization that has accountability among peers, that has people that think for themselves, that solve Dr. problems, that plan ahead, that create great relationships that will get through the strain, those are the practices that really succeed. 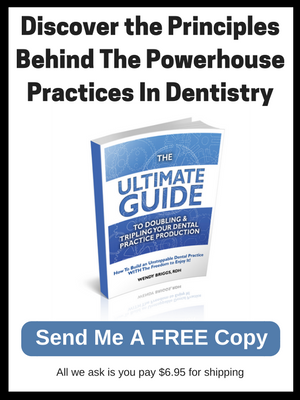 Those are the practices where the dentist can focus on producing dentistry, be helping patients, they provide the most value to patients as they possibly can every single day. Those are the practices that get to the top. Dr. John Meis: So if you have any questions or comments, please go ahead, right on this video, go ahead and share, and like, and all of those things on social media that people do. And if you put a comment on there, I promise I will respond to it. So I look forward to seeing those. Dr. John Meis: Next thing I wanted to visit about is our championship ... Champions of Dentistry Summit, so this is, I think our 13th annual, maybe 14th annual Champions of Dentistry Summit, this year it's going to be in beautiful Orlando, Florida. And you go to the Champions of Dentistry website to learn more about that, it's an awesome event. 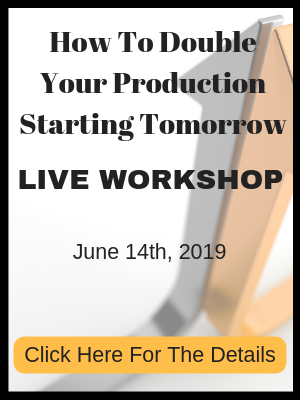 If you want your team to get fired up, and if you want 2019 to be the best year you've ever had, this is a great way to get the team together, to get them all pumped up, to have some great problem solving skills, and we've got fantastic speakers that will open their eyes to a whole different level of practice than they've been used to. 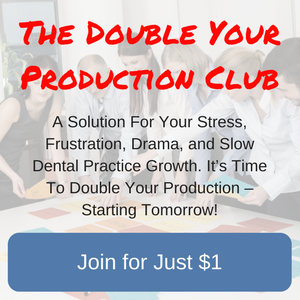 Dr. John Meis: And the last thing is, always you can get a free book, this is Wendy Briggs' and my Ultimate Guide to Double or Tripling Your Practice Production. You can get that free at TheTeamTrainingInstitute.com. I'll pay for the book, you pay for the postage.